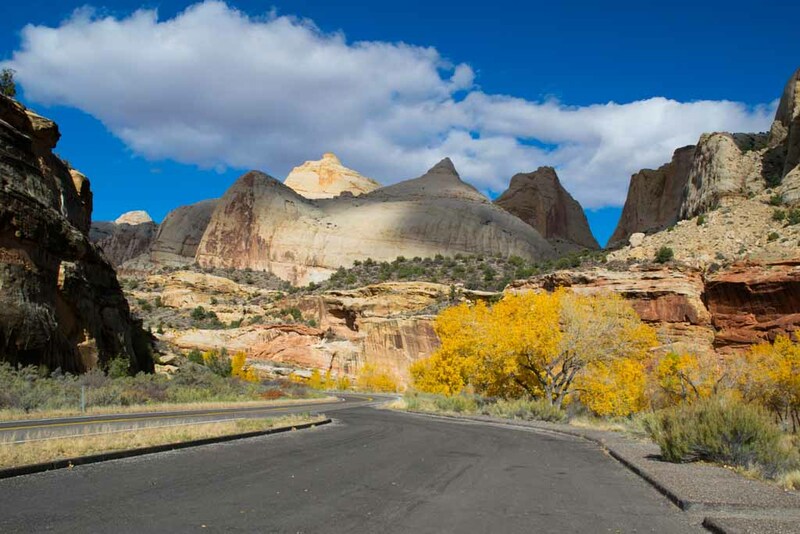 After being dazzled by Arches and a busy mornings at Canyonlands and Monument Valley, I started towards Bryce Valley, with a stop at Capitol Reef National Park. 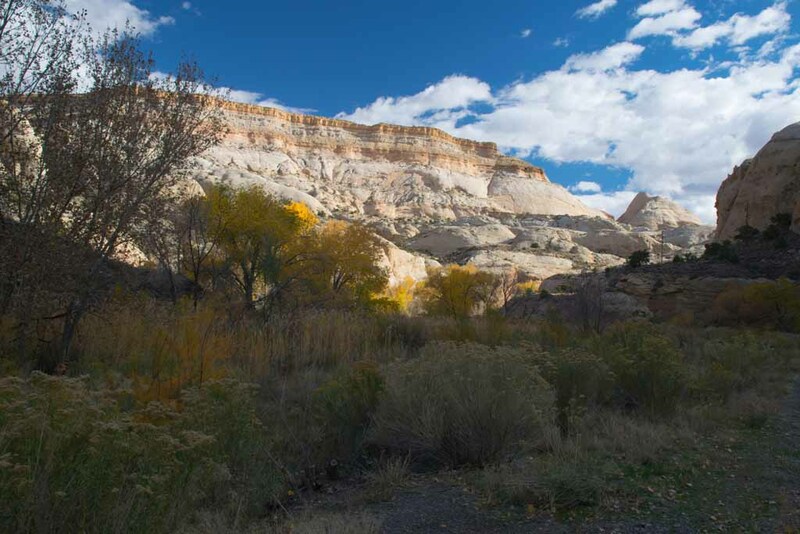 The landscape changed several times over the 3 hour drive to Capitol Reef. The park itself was much of the same as I had seen before, but there was a really great area of Petroglyph and an area called Fruita which has a series of orchards. 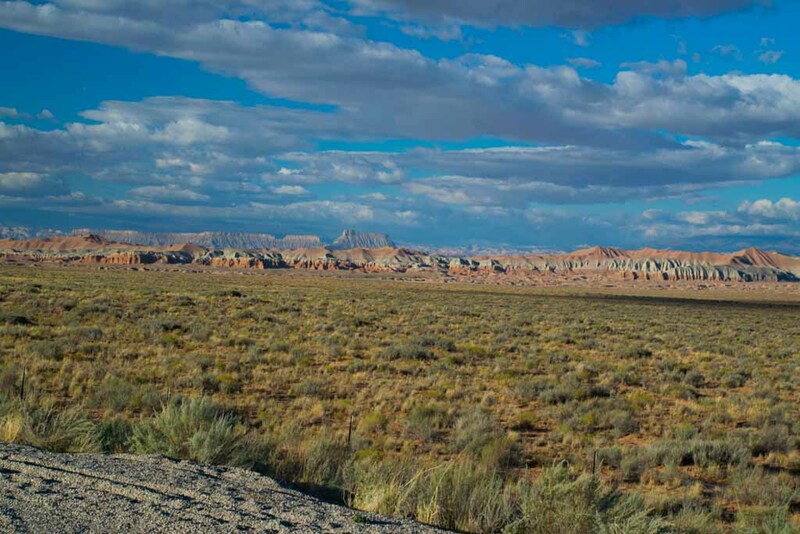 Like so many of the parks in the west, the area of the park is large, but the easily accessible (driveable) area is rather small. Along the way the landscape changes from the deep canyons of Moab to wide plains and distant landscapes. 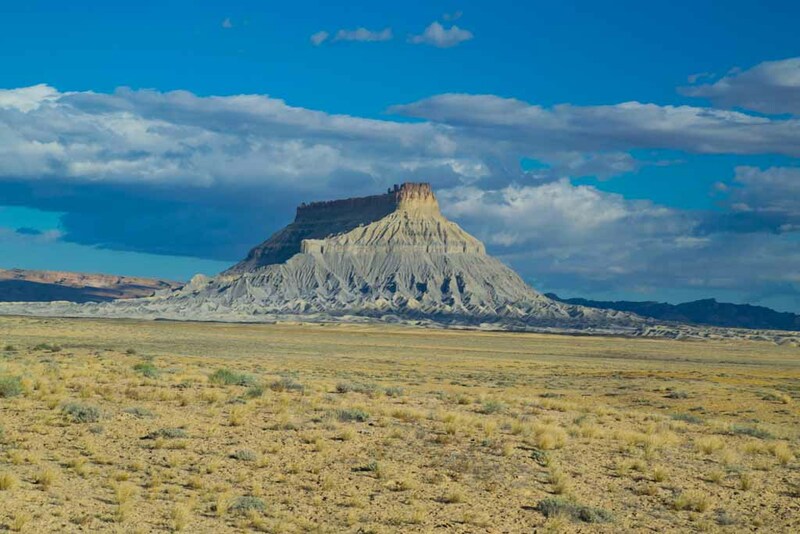 This formation is called Factory Butte (over 10 miles away), although I think it looks more like a fortress. 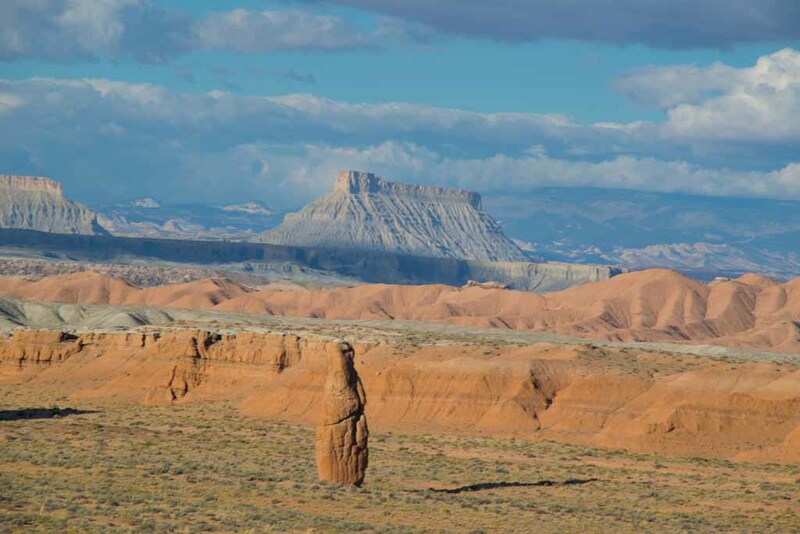 The area in the foreground had a series of pillars, which looked like statues. This is another view of the butte, from a different angle, but still over 7 miles away. You just can not get close to some features without a 4-wheel drive vehicle. All along my travels thru Utah there are Cottonwood trees, which were full of yellow leaves in late October. 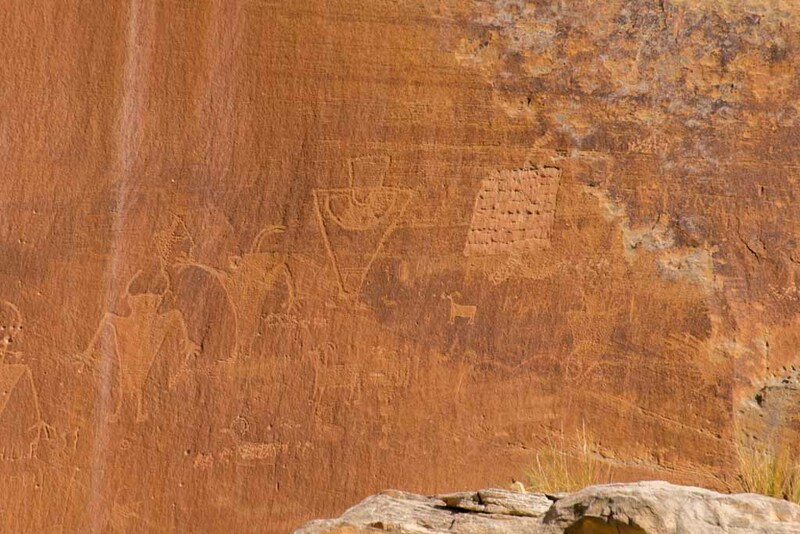 The cottonwood tended to indicate that water was near. 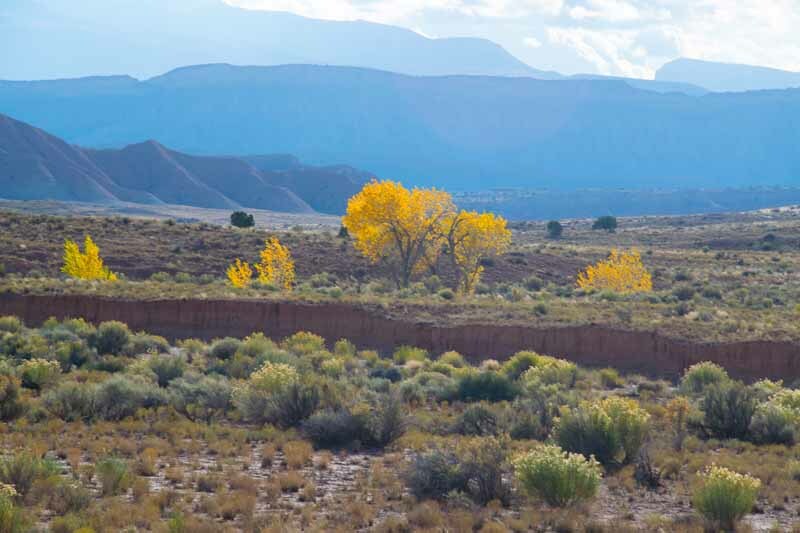 Unfortunately, the most scenic trees were in areas where there was no place to pull over and photograph them. This was an exception. I was exploring a road which ran along a geologic feature called the Waterpocked Fold (which is a monocline - a drop in the strata) The Waterfold runs for over 100 miles in Utah. I wanted to get further, but as usual, the paved road ran out and I did not want to get stranded on a dirt road with no cell coverage, and no other traffic. 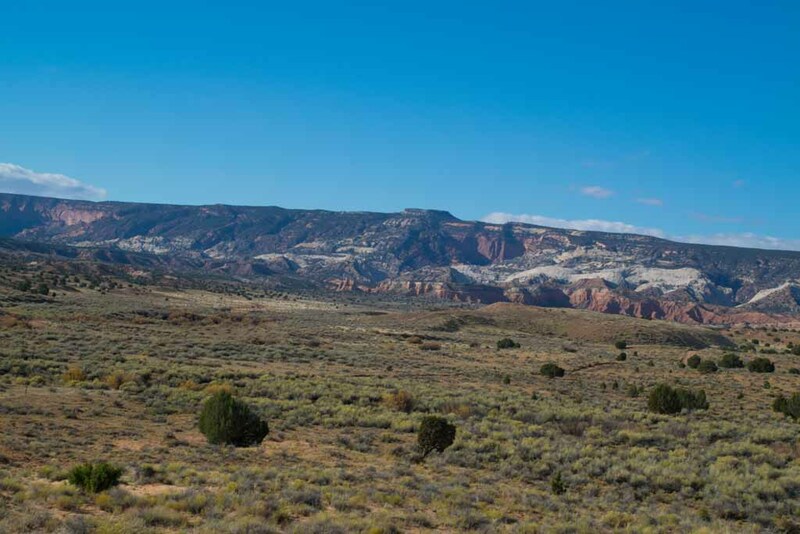 This is an example of the monocline as you enter the park. This feature is called the Capitol Dome - it kinds looks like it too. While looking at the petroglyphs and the cottonwood trees, I noticed the contrails of a plane. This was the first plane I had seen since I landed in Salt Lake City. 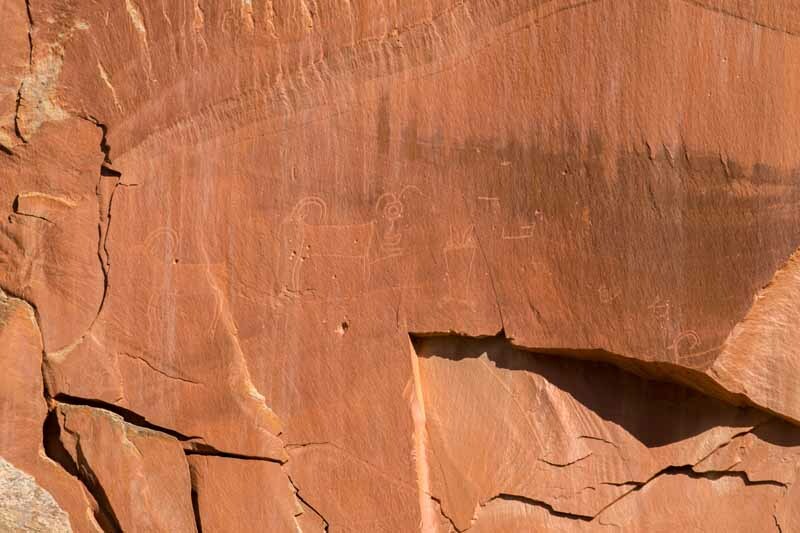 This is the first of a series of photos of the petroglyphs in the park. I looked at the wall containing them for 5 minutes before I saw them! 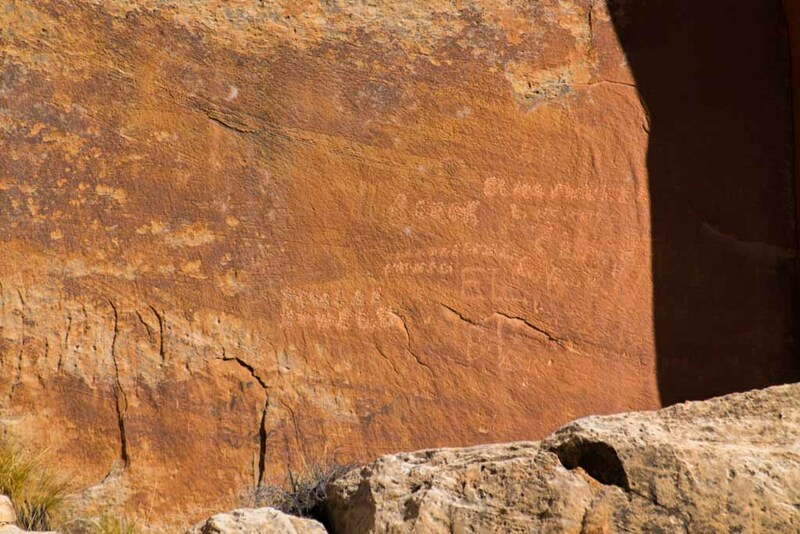 These glyphs were left by the predecessors of the Hopi, Zuni and Piute peoples that occupied this area from 300-1300 C.E. 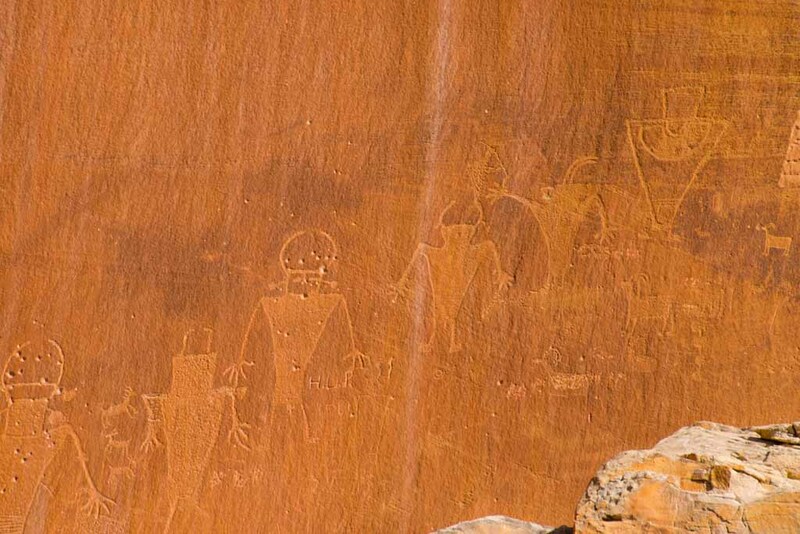 If you look at the larger version of each picture, you can see the various figures which tell a story. Unfortunately, the rock face is collapsing over time and the glyphs will be lost in time. 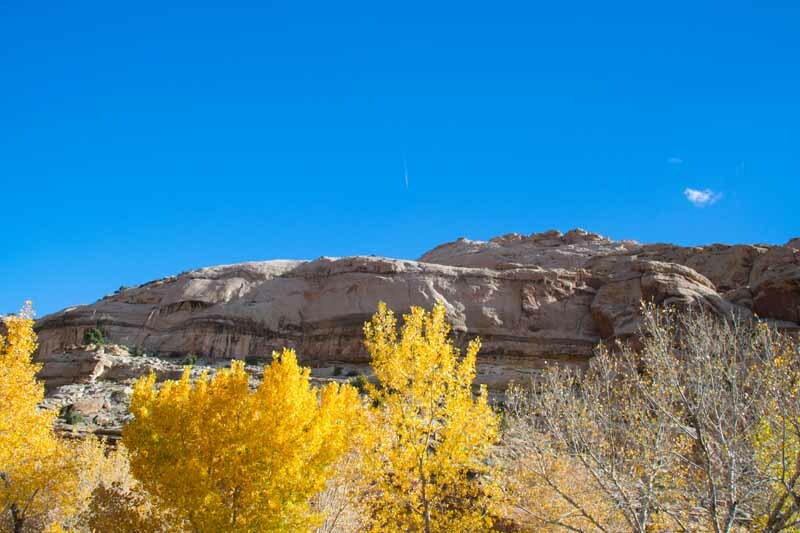 There is a great deal to be seen in the Capitol Reef, but it requires time and a desire to hike into the back areas.